The opener, who struck 104 not out on Friday, went four runs better with a career-best unbeaten 108 off 62 balls (10 fours, 5 sixes) out of a total of 173 for three for the visitors at St George’s Park. Dwaine Pretorius then led the way with a brilliant three for 17, with Kagiso Rabada quick and tight in his two for eight as the hosts were shot out for 92 in 16.4 overs – the lowest score in the competition thus far and losing by the biggest margin in terms of runs. 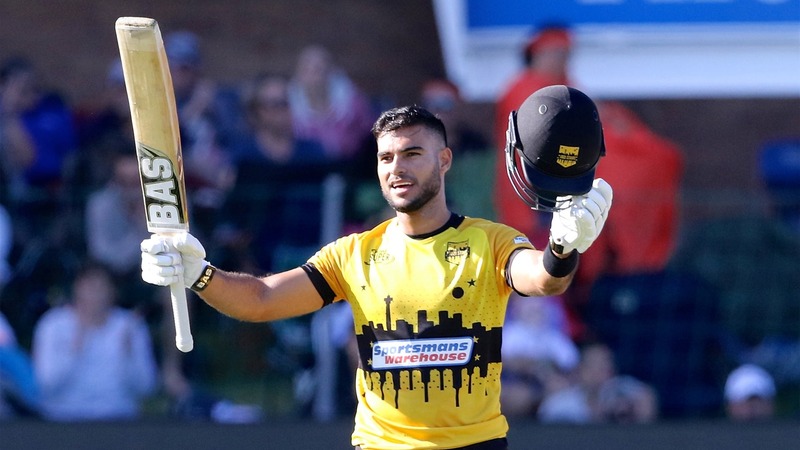 It sealed an impressive result for the Johannesburg side, who subsequently picked up a bonus point for their efforts and returned to third place on the log standings, now just four points behind the Giants with a game in hand. The result was set up by the outstanding Hendricks, who recorded his third Twenty20 century in the process. He led the way for his side and had little cameos from the other end supporting him after the Stars won the toss and opted to bat first against a home side that had lost just once previously. Ryan Rickelton (21) helped put on 61 for the first wicket, before Rassie van der Dussen (19) added 54 alongside Hendricks for the second wicket. Dane Vilas (10) supported the centurion until 149, with the strong finish propelling the target to 174. Aaron Phangiso was the pick of the bowlers with one for 22, with the bowler also topping a woeful batting chart for his side with 17. The hosts were poor with the bat as Rabada dominated with the ball early. After Beuran Hendricks (2/18) took out Marco Marais (2), the Standard Bank Proteas fast bowler cleaned up Jon-Jon Smuts (10) – the Giants limping to the lowest powerplay score of the competition at 19 for two. Things only worsened from there as Heino Kuhn (12) and Christiaan Jonker (0) were dismissed from successive balls by Pretorius. Eddie Leie (2/22) then left the home side in further strife as they fell to 72 for nine, with Phangiso’s late hitting preventing an even bigger loss.